New Retail Display Racks – AmeriColor Corp. Introducing our newly designed AmeriColor® display racks for our signature .75 oz squeeze bottles with flip-top caps. If you’re an authorized AmeriColor® retail shop, please contact us for pricing. Each forged steel rack comes embellished with a reclaimed wood face panel and can hold 144 colors. Rack labels are included. 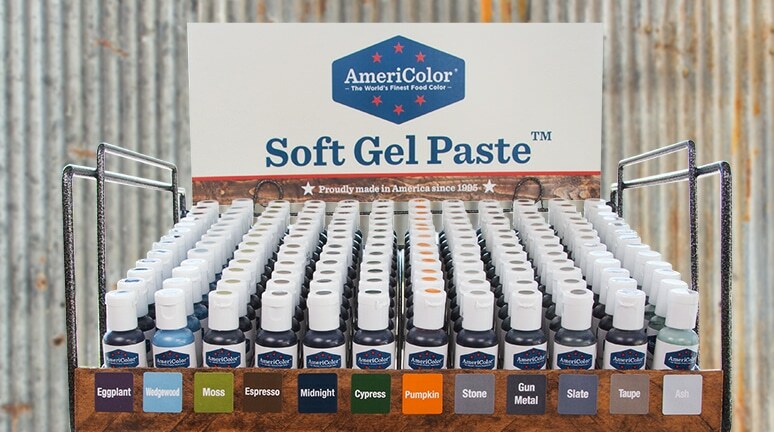 Six New Soft Gel Paste™ and AmeriMist™ Colors!